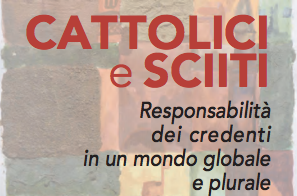 Rome - The Community of Sant’Egidio in partnership with the Imam al-Khoei Foundation will be hosting Tuesday a conference between respected members of the Roman Catholic Church and senior representatives of Muslim Shiite institutions, Sant Egidio said. The conference will discuss the issue of “the responsibility of believers in a global world” and talk about ways to create peace during this period when there are so many crises and conflicts taking place on an international scale. The Imam al-Khoei Foundation is a global foundation linked to Iraqi Shiite Islam’s highest religious authority, Grand Ayatollah Ali al-Sistani. Representing the Shiite community will be leading religious dignitaries from Iran, Iraq, Lebanon, Saudi Arabia, Bahrain and Kuwait. For the Catholic Church, there will also be leading figures in attendance including Cardinal Tauran who is President for the Pontifical Council for Interreligious Dialogue. The conference will take place at 14/B Via della Paglia in the community of Sant’Egidio.